This guitar has an interesting story. It started out as a left handed model. 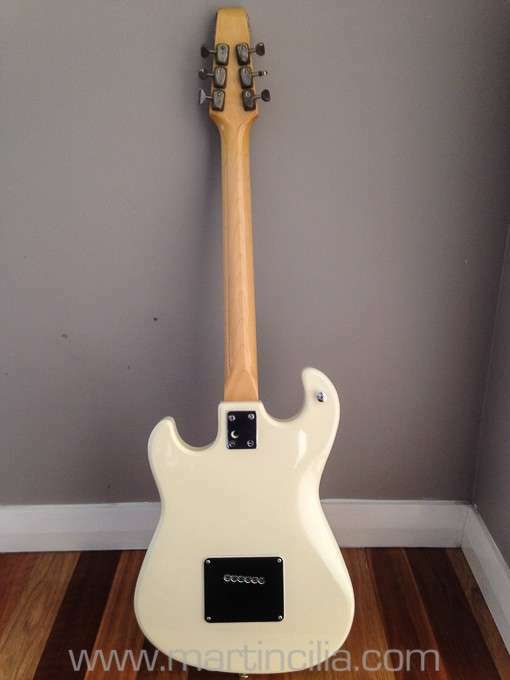 Some time in the 70s in Perth, Western Australia I saw an ad in the local paper that said something like “Burns Hank Marvin model guitar, left handed, no body”. I was excited by this because I was a Hank Marvin and Shadows fan and had never seen a Burns Marvin in the flesh before. Although I had studied many pictures of that model. I was thinking – well I can get a body made up and string it right handed and be like Jimi Hendrix in reverse, only playing a Burns guitar. I called the phone number in the ad and determined that all the parts were there except the body. It turned out that the wood in the body had split and the body had been lost! I bought the parts and just looked at them for about a year until I decided to go to England June 1979. I was living in Romford which is on the outskirts of London. 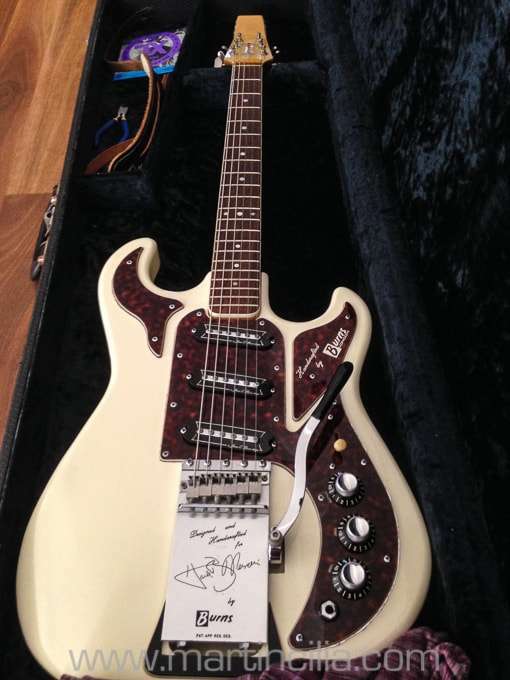 It turned out that the people who made the original Burns guitars in the 60s had a new line of guitars called Shergold and were just around the corner from where I was living. I had brought the Burns parts with me just in case I found a body. I walked into their workshop and introduced myself as being from Australia and we started chatting. After a while Jack Gold turns to me a says “I think I have one left over Marvin body from the 60s, but it’s right handed”. After a bit more discussion I was given a couple of numbers to call. Anyway, long story short, I found someone in Kent who had some right handed parts that they would swap for the left handed parts. So I swapped the scratch plates and vibrato, kept the neck, pickups and wiring. Then I went to the local butcher shop and got some bone and cut a very rough right handed nut which is still on the guitar today. 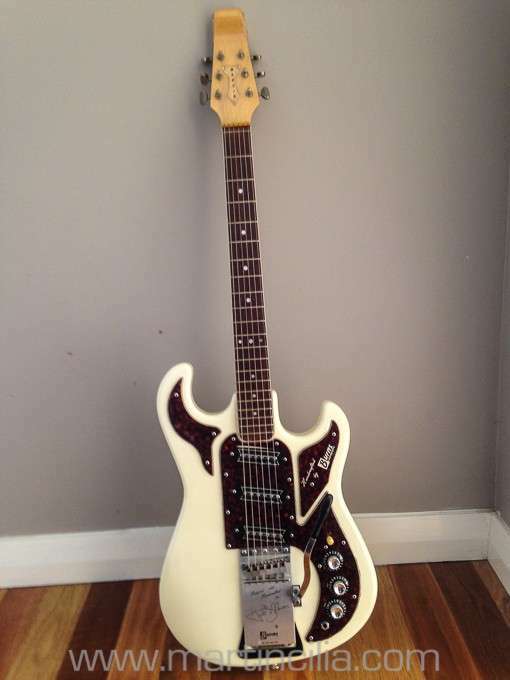 It has a sound somewhere between a Fender Stratocaster and a Gibson Les Pul Deluxe. 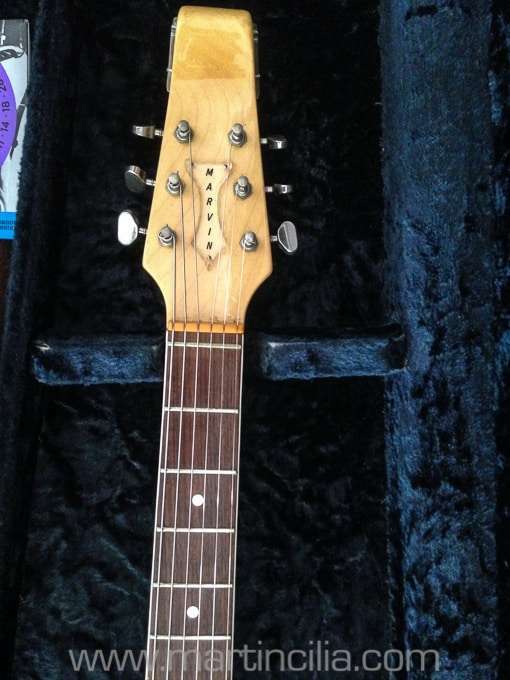 This is quite an interesting guitar, the neck is actually a Baldwin neck, but what that means is that it was actually made by Jack Golder, you can tell this from the modified scroll. 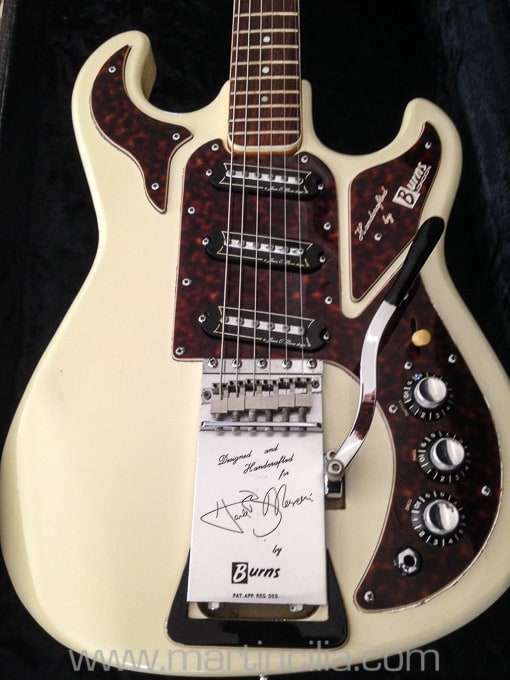 The pickups in this case are Burns Baromatiks, and these are one of the very first production stack coil pickups, the 2nd coil for lower coil was actually turned on gradually by the 2nd tone control, the 1st tone control was a master tone. This vari coil system was called a density control, you could vary the density or thickness of the pickup itself by rotating the 2nd tone control anticlockwise. I am not really sure whether yours is wired like this or not, because of the modifications made to the guitar, but you can bet that the pickups are stacked coils, all the ones I’ve seen are made like this even if the facility was not used. There would not have been too many Marvin’s made with these Baromatiks and I should think that they actually are considerably warmer sounding than the earlier RazoMatic’s. 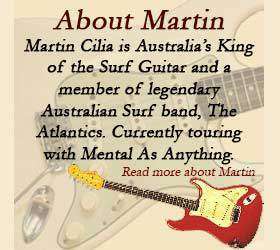 The Marvin is a great guitar really, and we still make it. I did an enormous amount of research to get the sound right on these present-day models, initially the new ones sounded too Fender like in their tonal texture, the original Marvin’s had a warmer, slightly nasal sound. 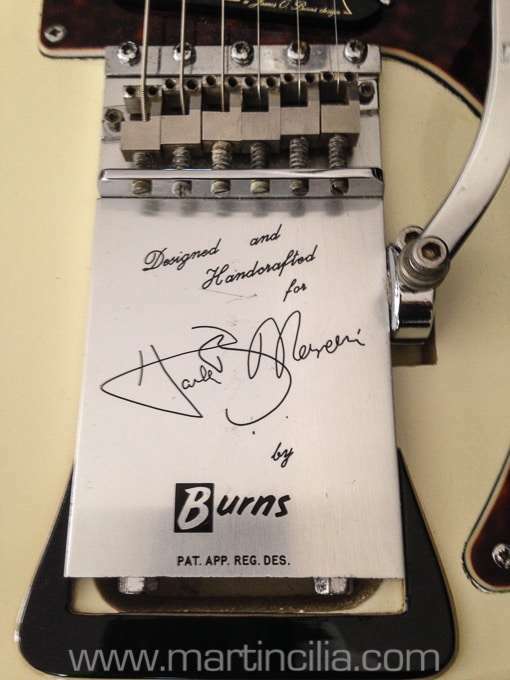 In the end, the sound of the original Marvins came down to 3 factors: the 1st one being quite obviously Hank Marvin himself, the 2nd one was the pickups, and the 3rd one was the Rezotube bridge. The pickups were scattered wound and they used British winding wire (Connolly’s Liverpool) and British magnets, that were made by Eclipse magnets in Sheffield, these magnets had a slightly different mix of aluminium, nickel and cobalt and went under the name of Alcamax. We can no longer source the UK made winding wire or the Alcamax magnets, but we have managed to get very close to the original sound by working on the winding itself. The Rezotube bridge certainly plays a part in the sound, the saddles are made of steel and in your case, this would be solid, milled steel (the present ones are diecast, as milled steel is way too expensive these days). The bridge body itself is made from aluminium, again your original would have been made from duralumin, which has a higher resonance factor. Hi Emma, I can remember going to Kent and swapping most of the left handed parts for original right handed parts. The original plate was a Baldwin. I still have the original left handed vibrato arm.